The Best Western Hotel Palladio, recently built, is situated in a quiet area close to city centre. It offers a beautiful panoramic view of the Grappa Mountain. 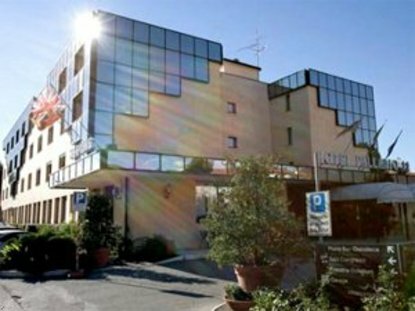 The Best Western Hotel Palladio has modern furniture, can deal with the request of an International tourist and business clientele, it's synonymous of comfort and functionality in a nice, sparkling, young atmosphere and is a quality hotel in the Veneto region. Our hotel has 66 rooms, an American bar, meeting rooms that accommodate up to 200 guests, fitness center, large parking area including garage and Wi-fi throughout hotel.